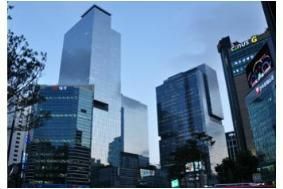 KOREA: Samsung establishes £500m+ fund to support suppliers, build future | What Hi-Fi? The plan, announced in Seoul today, will enable companies providing it with components to expand and improve, allowing them to reach the status of primary suppliers and benefit from further co-operation with Samsung. Under the plan, jointly supported by Samsung and the Industrial Bank of Korea, a new company called the Supplier Support Fund will loan suppliers capital to invest in equipment, carry out research and development and grow their businesses. The fund will also buy raw materials, thus protecting smaller companies from fluctuations in commodity prices: one of the first provisions under the new plan will aid suppliers producing iron components for 'white goods' and LCD TVs. The scheme will also select a number of firms which will be assisted to grow into global companies by 2015. They'll be chosen on the grounds of the size of their business with Samsung, their technology, quality and management, and Samsung will then offer wide-ranging assistance from the development of technology to upgrades to their infrastructure. Samsung sees the new fund as a means of supporting suppliers in order to help it grow its status as a global company.